Palestine at a Crossroad: Are Multilateral Initiatives the Only Hope Left for the Cause of Peace? More than two decades have been lost on bilateral peace negotiations between Israelis and Palestinians. 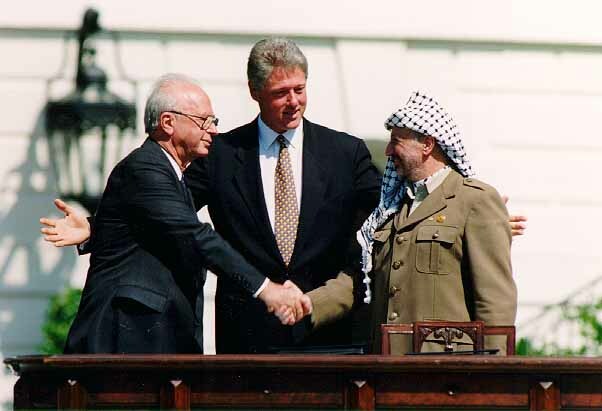 The two sides today seem further away than ever from a peace agreement. Does the latest French Initiative present an alternative to failed bilateral talks? Is a P5+1 model the last hope left for peace between Israel and Palestine? Join New America and the Foundation for Middle East Peace for a conversation with Dr. Husam Zomlot, Ambassador-at-Large and Senior Advisor to Palestinian President Mahmoud Abbas, about the way forward for Palestine and Palestinian efforts to internationalize the solution to the Israel-Palestine conflict. Follow the conversation online using #PalestineXRoad and following @NewAmericaISP.